James Travis Tritt (born February 9, 1963) is an American country music singer from Marietta, Georgia. He signed to Warner Bros. Records in 1989, releasing seven studio albums and a greatest hits package for the label between then and 1999. In the 2000s, he released two albums on Columbia Records and one for the defunct Category 5 Records. Seven of his albums (counting the Greatest Hits) are certified platinum or higher by the Recording Industry Association of America (RIAA); the highest-certified is 1991's It's All About to Change, which is certified triple-platinum. Tritt has also charted more than forty times on the Hot Country Songs charts, including five number ones — "Help Me Hold On," "Anymore," "Can I Trust You with My Heart," "Foolish Pride" and "Best of Intentions" — and fifteen additional top ten singles. 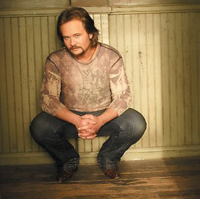 Tritt's musical style is defined by mainstream country and Southern rock influences.